★★★★★ "... Toes were tapping, bodies swaying, arms waving and hands clapping. An outstanding tribute to one of the most iconic groups of the rhythm and blues era. A brilliant trip down memory lane." Glam Adelaide. Described as "the golden voiced trio" (Great Scott Media), The Three Little Sisters take you on a historical journey celebrating the most famous female musical group of all time. Backed by The Band Of the 10th/27th Battalion Royal South Australian Regiment, this 90 minute cabaret spectacular features lead vocalists Tania Savelli, Shelley Pantic & Melanie Smith recreating that famous three part harmony sound with your favourite Andrews Sisters songs as well as some surprises along the way. Experience wartime nostalgia performed at it's finest. Table of 8, Full Price and Concession tickets will ensure you a seat at the tables. Gallery tickets will seat you in the upstairs gallery area. PLEASE NOTE: The upstairs Gallery is not wheelchair accessible. The table area is fully wheelchair accessible. Adelaide's own sweetest songstresses are ready to entertain! This retro vocal trio transport audiences back in time with their stunning mix of voices. 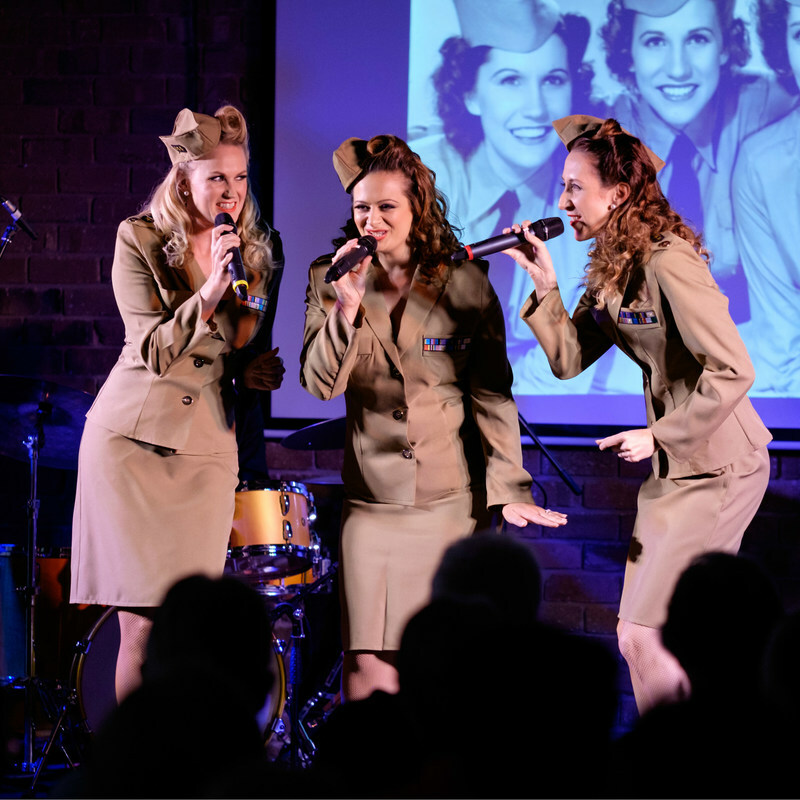 Inspired by famous female singing trio's such as the famous Andrews Sisters, The Boswell Sisters & The Puppini Sisters, Tania, Shelley and Melanie are sure to infatuate their audience with their close harmony singing and fun, vintage charm.